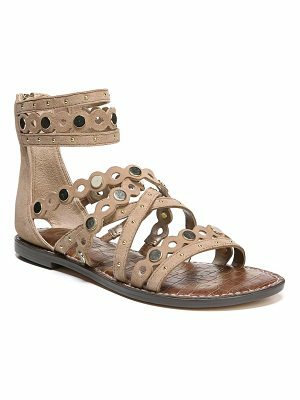 Rebecca Minkoff calf leather sandal. Golden hardware. 0.5" flat stacked heel. Open toe. Tonal pyramid-stud straps. 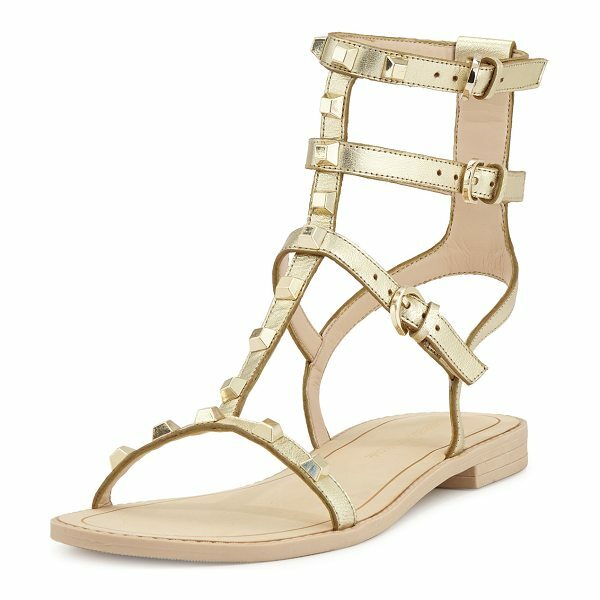 Adjustable ankle straps. Leather lining Textured rubber sole for traction. "Georgina" is imported.